I love the idea of cookbooks. So full of promise. They carry with them a feeling of family, of owning your own kitchen, of not having three roommates. The problem is, if a recipe in a cookbook does not have a picture, I won’t cook it. I don’t mean that I’m less likely to cook it, I mean I will not cook it. So generally cookbooks aren’t worth the money, especially considering the millions of free recipes online. Like this one. Or this one. Or this one! Isa Does It is worth the money. There is a picture of every recipe so there is nothing I won’t cook. I purchased it during my vegan phase and it’s part of the reason I remained dairy-free for months as opposed to minutes. Isa promotes a type of veganism I can handle, with meat substitutes and other non-kale ingredients. 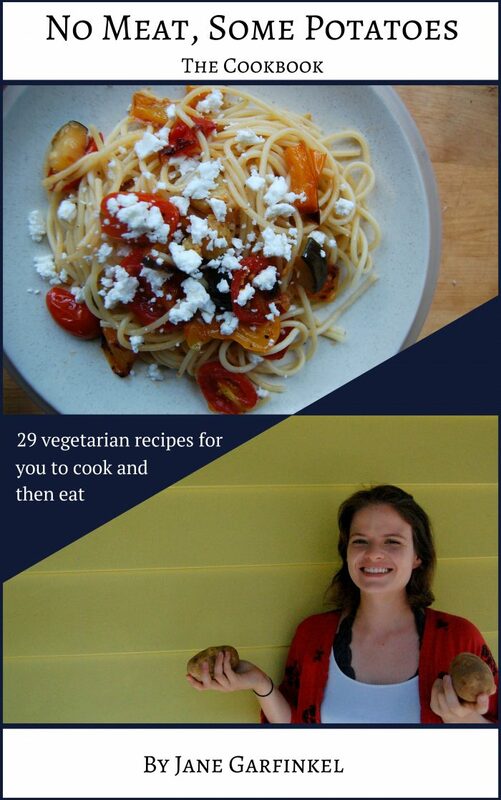 To honor this fantastic book, I will be recreating one of her recipes. 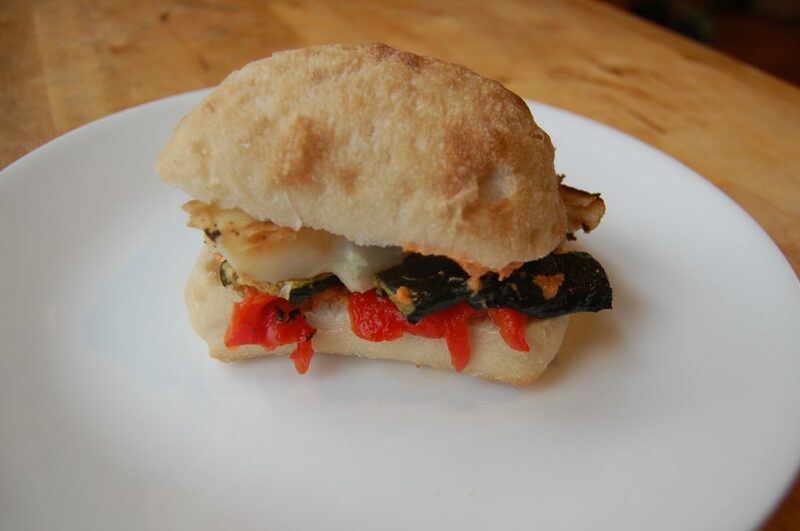 I don’t know if this qualifies as plagiarism, so reminder, all credit for this roasted vegetable sandwich recipe goes to Isa Chandra Moskowitz. 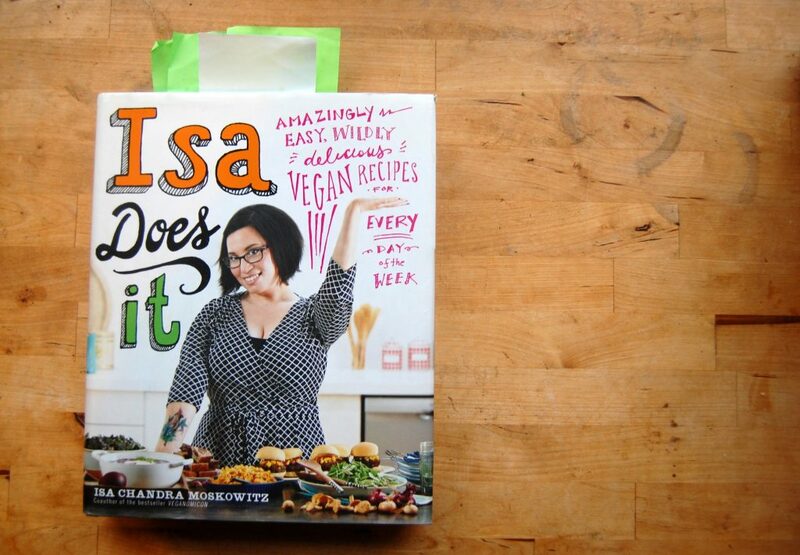 During my attempt at veganism I tried to cook my way through this book and kept notes on post-its. 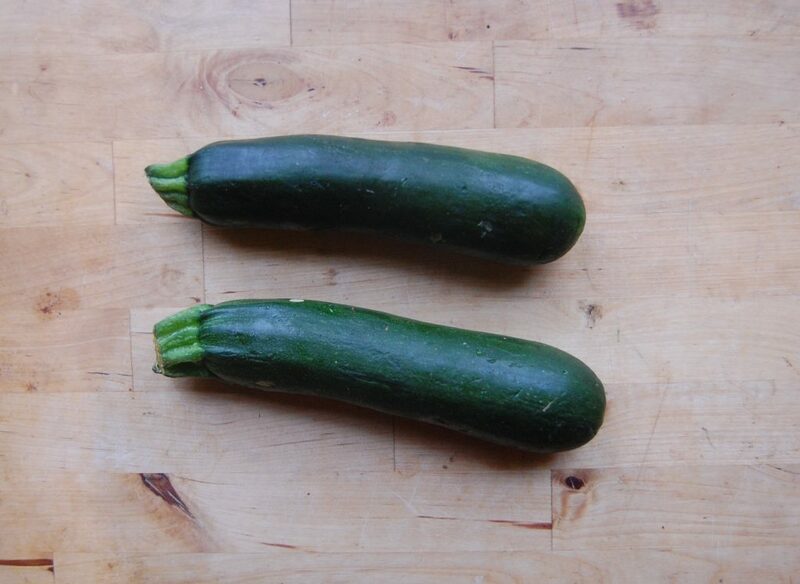 I picked small zucchinis so that they could easily fit on the rolls. I sliced them about 1/4 of an inch thick and cut them in half. 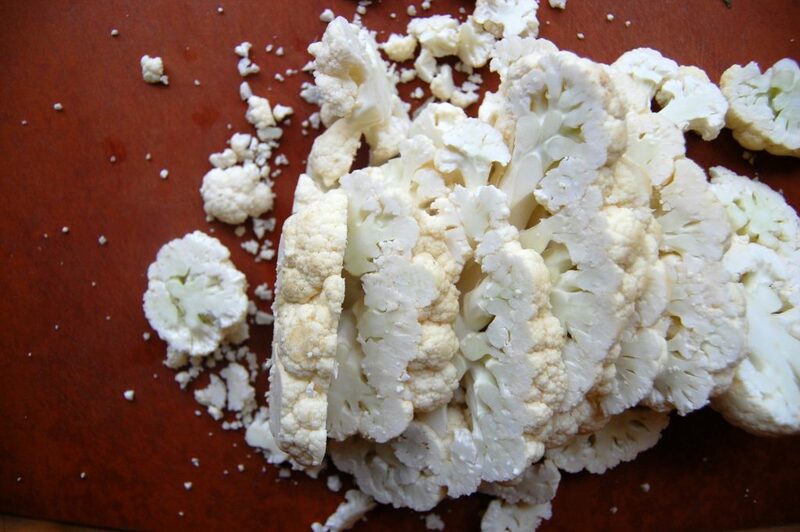 Isa suggests cutting the cauliflower into large steaks, but this is a really big pain. I try to slice as she suggests, but chunks fly everywhere. It’s not an issue, you can cook and eat all the bits both big and small. 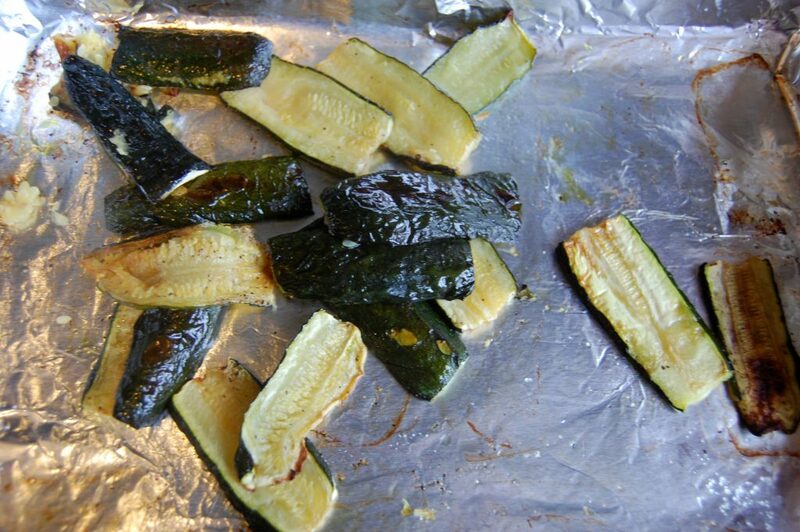 Put the veggies on a aluminum foil-lined baking sheet. Cover them in oil and season with salt and pepper. 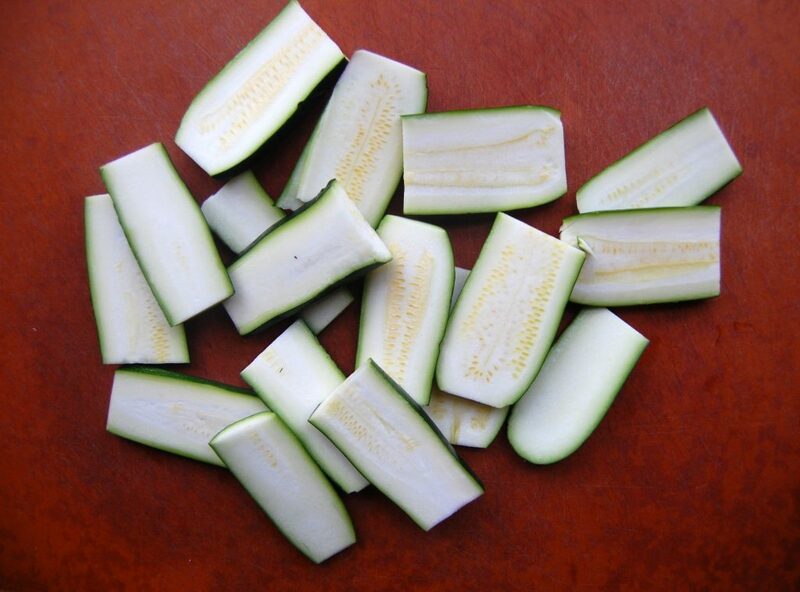 After about 40 minutes the zucchini looked like this. 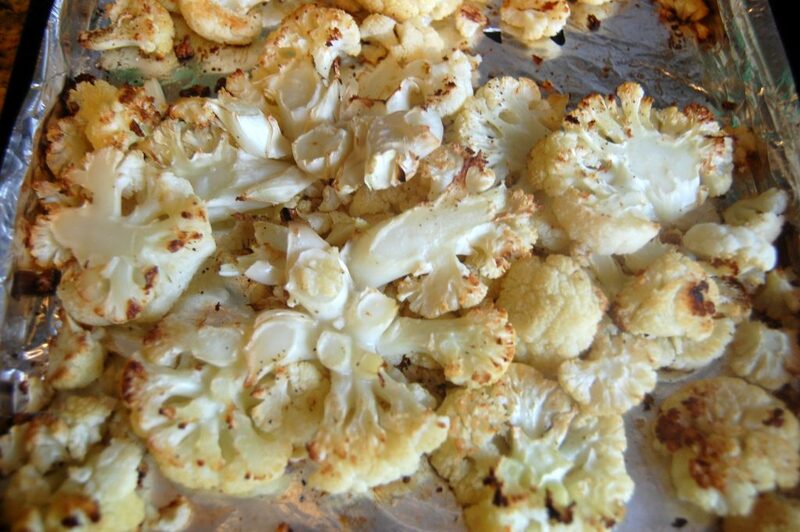 I had to cook the cauliflower an extra 20 minutes until it became golden brown. 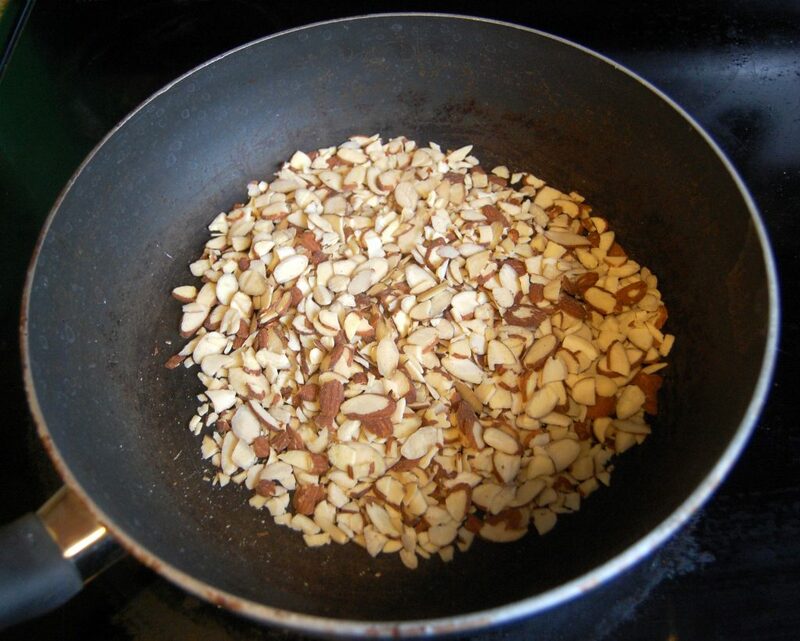 To make the spread, first toast the sliced almonds. Isa says this improves the flavor. It probably does something. 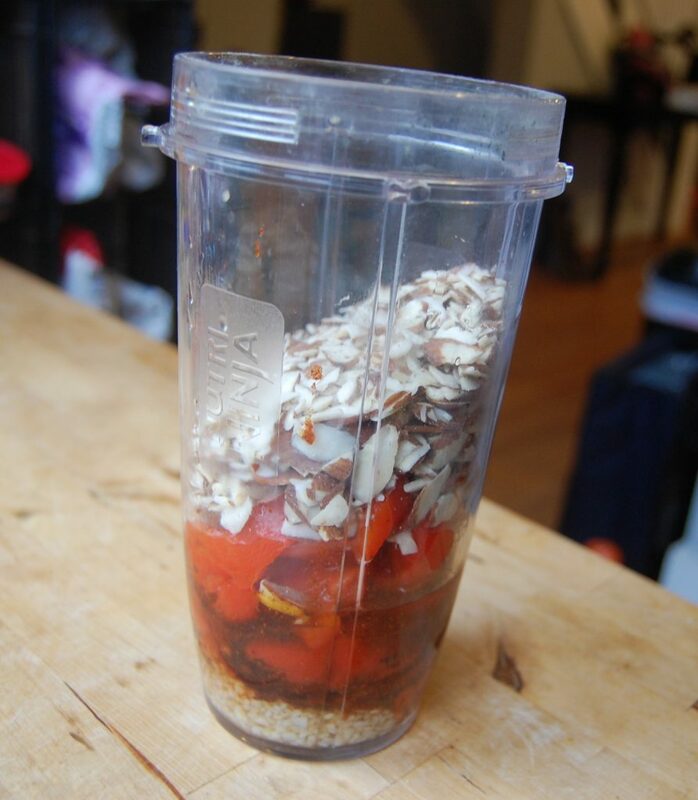 I put all the spread ingredients, including one roasted pepper, in the Nutri Ninja. I also topped the mixture with enough water for the Ninja to spin freely. 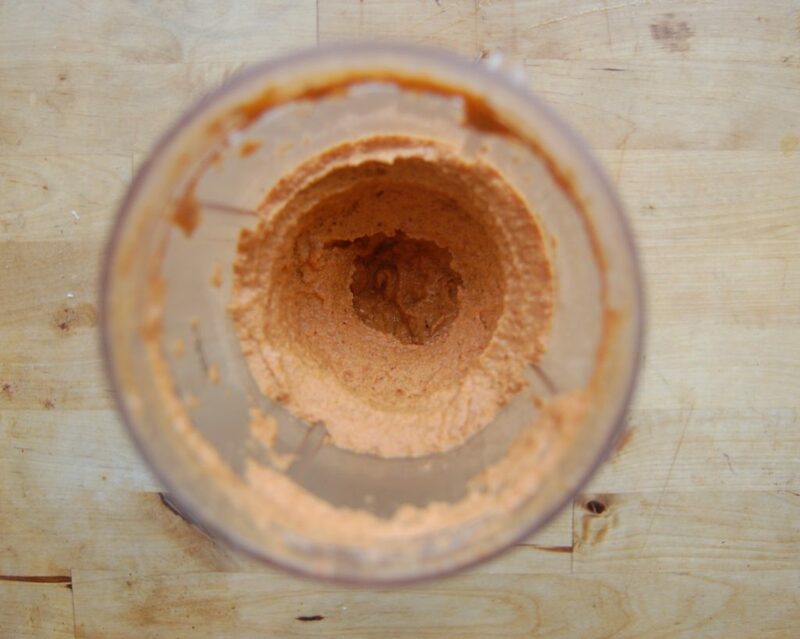 After a few moments being Ninja-d the spread became spreadable. 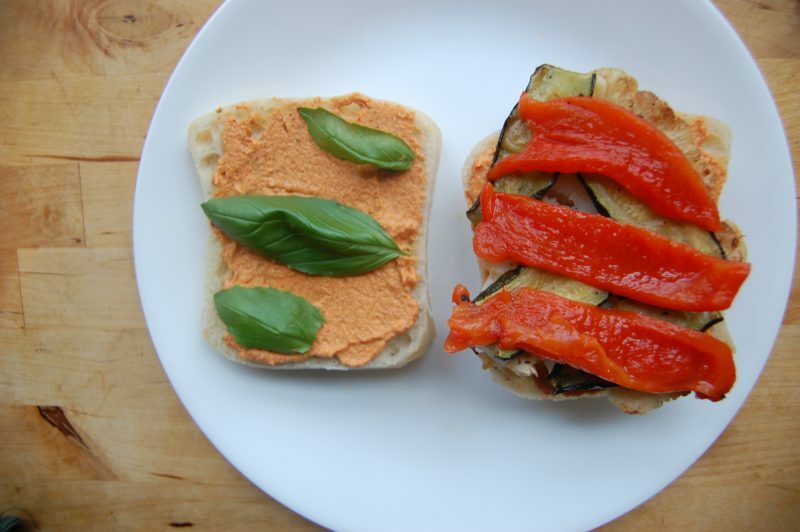 Compose your vegetable sandwich. 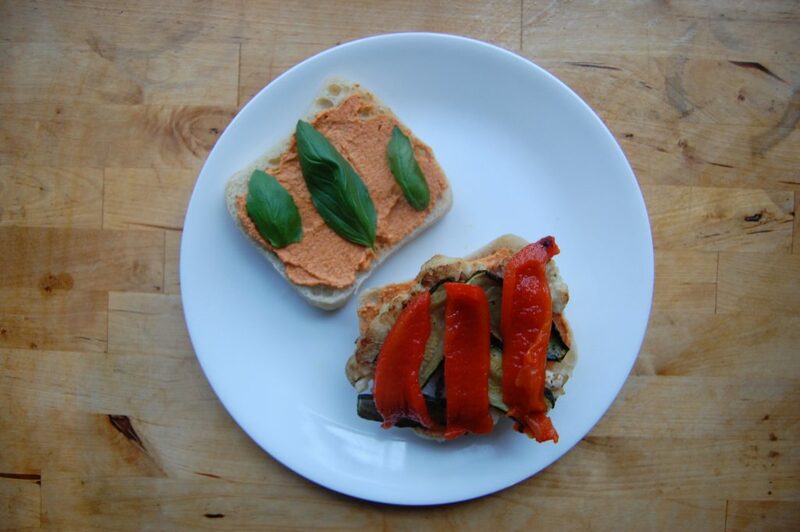 I use a ton of the spread on both slices of bread, the roasted veggies, some red pepper slices, and a few basil leaves from Artichoke.